Demands of consumers for high quality and safe food mean that there is a need for ever higher standards in all stages of food production. This has led to strict quality assurance requirements from buyers, such as supermarkets and food processing companies. Amongst these requirements is the need for highly effective rodent control, without which rodents will contaminate and destroy food at every stage from the farm to the supermarket shelf. At the same time, government agencies responsible for the regulation of rodenticides have raised concern that many species of wildlife, such as barn owls, kestrels and red kites, are being accidentally exposed to these products. These agencies have called for better stewardship of rodenticides to prevent wildlife exposure. The Campaign for Responsible Rodenticide Use (CRRU) is a response to that call. Under the banner “Think Wildlife” CRRU promotes best practice and responsible rodent control, thereby protecting wildlife from rodenticide exposure. 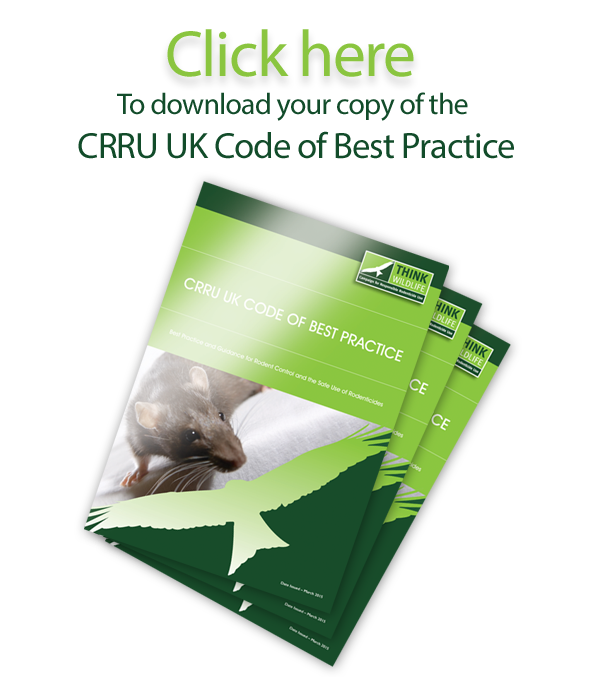 The CRRU Code promotes responsible use of rodenticides and Best Practice outlines how rodenticides are to be used to minimise exposure to wildlife.